Douglas Burrage Snelling (1916–85) was one of Britain’s significant emigré architects and designers. Born in Kent and educated in New Zealand, he became one of Australia’s leading mid-century architects, of luxury residences and commercial buildings, and a trend-setting designer of furniture, interiors and landscapes. 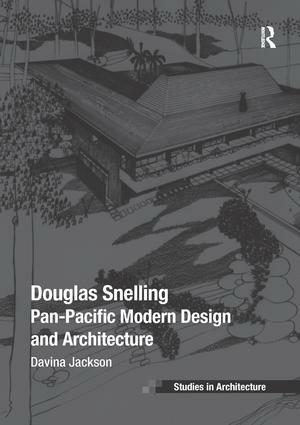 This is the first comprehensive study of Snelling’s pan-Pacific life, works and trans-disciplinary significance. It provides a critical examination of this controversial modernist, revealing him to be a colourful and talented protagonist who led antipodean interpretations of American, especially Wrightian and southern Californian, architecture, design and lifestyle innovations.